Kathryn Thomas is a graduate of the Royal Academy of Music where shestudied with Sebastian Bell. She was subsequently awarded an Associateship of the Royal Academy of Music for achieving distinction in the music profession. Kathryn is an established recitalist and chamber musician at venues including the Wigmore Hall, the South Bank Centre, Bridgewater Hall, and at festivals including BBC Proms, Cheltenham, Two Moors and Presteigne. As a founder member of the Galliard Ensemble whose awards have included participation in the BBC Radio 3’s New Generation Artists scheme, Kathryn has given live and recorded broadcasts at festivals nationwide, including a live broadcast appearance at the BBC Proms. Her CD recordings both as a soloist and with the Galliard Ensemble have been awarded Gramophone Editor’s Choice, The Observer CD of the Week, and Critics Choice in BBC Music Magazine. Particular recommendations have been given by Gramophone magazine, The Times, BBC Radio 3 CD review. BBC Music Magazine featured a cover CD devoted exclusively to the Galliard Ensemble. Kathryn has an affinity for contemporary music and has worked with eminent composers and has given many world and British premieres. She has also worked with orchestras including the London Sinfonietta, New Queen’s Hall Orchestra, Royal Philharmonic Orchestra, BBC Symphony Orchestra, Music Theatre Wales, CLS. Her concerto performances include works by Ibert, Honegger, Arnold, Bach, Rawsthorne, Barber, Mozart, Telemann, Cecilia McDowall and Christopher Gunning. Kathryn performs rock flute with the award-winning progressive rock band ‘Hats Off Gentlemen It’s Adequate’. Owen Dennis read Mathematics at Corpus Christi College, Cambridge and graduated with a first class honours degree in 1995. He then studied at the Royal Academy of Music with Douglas Boyd and at the Rotterdam Conservatoire with Emanuel Abbuhl, winning the Leila Bull prize for oboe as well as the 1999 Royal Overseas League Wind Final. With the Galliard Ensemble, Owen has released many CD’s including the first recording of Birtwistle’s ‘An Interrupted Endless Melody’ for oboe and piano. 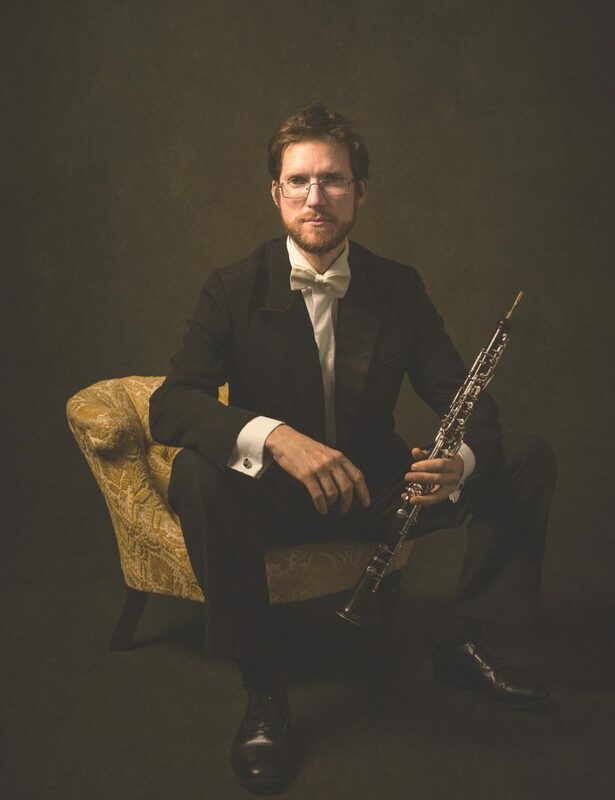 As a BBC Radio 3 New Generation artist, Owen has performed the Mozart Sinfonia Concertante with the BBC Symphony Orchestra and numerous live broadcasts, in particular Britten’s ‘Metamorphoses after Ovid’ for solo oboe in the BBC Proms. In addition to his chamber music, he freelances with the London Philharmonic Orchestra, the London Mozart Players and the London Sinfonietta and held the Principal Oboe seat with English Touring Opera. Owen continues to develop his mathematics and has recently completed his MSc in Intelligent and Adaptive Systems at Sussex University. 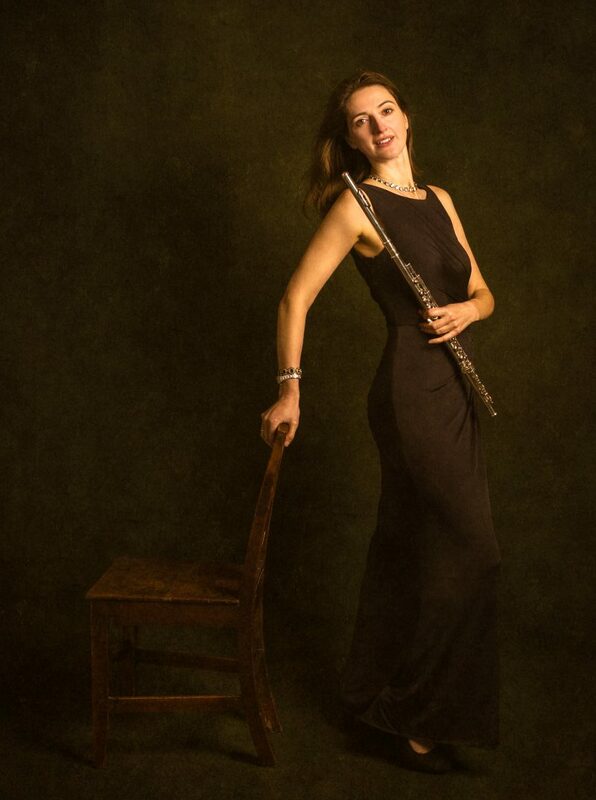 Katherine Spencer made her concerto debut at the age of fourteen at the Royal Festival Hall and has since performed there as concerto soloist a further three times. She has also appeared as soloist with the BBC Symphony Orchestra, The Academy of St Martin in the Fields Orchestra at the Barbican Centre and at Birmingham Symphony Hall and Queen Elizabeth Hall, made many live Radio 3 solo broadcasts, and performs regularly on Classic FM and European radio stations. She has recorded the Brahms Sonata and Beethoven Trio for the Oxford Classic label with Sam Haywood and Martin Storey. She has also recorded a number of CDs with the Galliard Ensemble, of which she is a long standing member, which have received high acclaim in leading magazines such as the Gramophone magazine. As a chamber musician Katherine has performed Mozart with the Amadeus Quartet in the presence of HRH the Emperor of Japan. She continues to perform internationally with her Duo with Sam Haywood and the Galliards in Festivals such as the BBC Proms and the Barbican’s “Mostly Mozart Festival”. 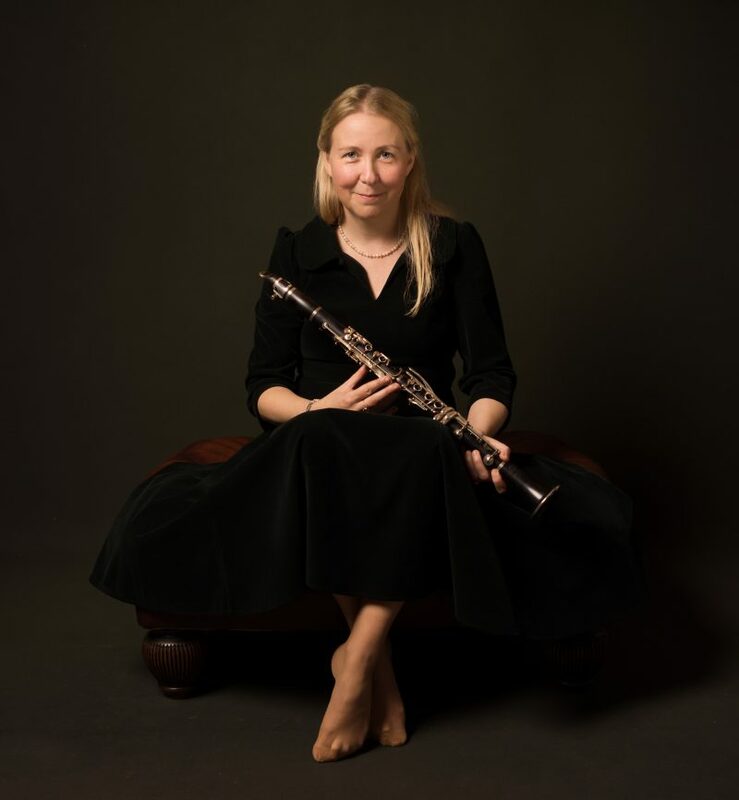 Katherine currently divides her time equally between solo, chamber and freelance orchestral work, both as a member of the OAE and as a modern principal clarinettist of City of London Sinfonia. She is particularly interested in contemporary mediums and works closely with Artist Ashley Davies in many experimental crossover Art/Music projects, most recently in the Southbank centre. She regularly leads workshops from traditional concert formats to more individual music therapy style sessions in many special needs schools. She continues to give masterclasses and workshops in clarinet playing and workshop in Britains leading music colleges and institutions. Richard Bayliss is a regular performer with many of the UK’s leading chamber ensembles, chamber Orchestras, and with many of the UK’s leading Symphony Orchestras, including the Royal Philharmonic, London Philharmonic, Philharmonia and BBC Orchestras, and has performed as guest principal with Scottish Chamber Orchestra, the Norwegian Radio Orchestra, Gulbenkian Orchestra, and the Taipei Symphony Orchestra. As a soloist, Richard has performed with the BBC Symphony Orchestra, Academy of St Martin in the fields and the Taipei Symphony Orchestra. 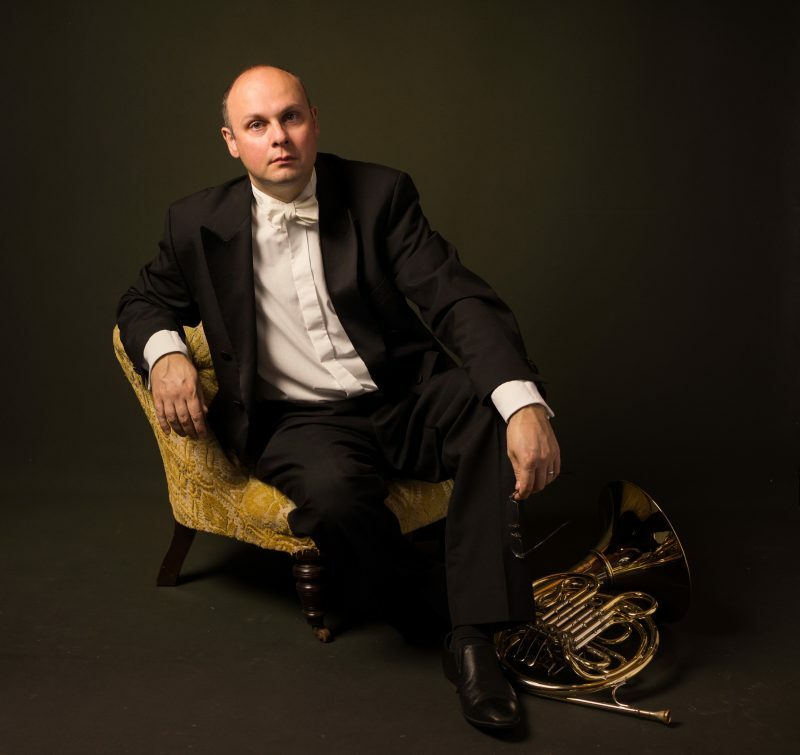 Richard has always had a keen interest in early music, and as a natural horn player he is principal with the Gabrieli Consort and Players, and has performed as guest principal with English Baroque Soloists, London Handel Orchestra, and the Academy of Ancient Music, Hanover Band and the Orchestra of the Age of Enlightenment. Richard is also a regular performer in the West End, and has held positions with many shows, including Shrek, The Sound of Music, and Jesus Christ Superstar, and is a deputy on many of the current west end musicals. Helen studied at the Purcell School of Music before continuing her studies with scholarships to the Royal Academy of Music and the Hochschule fur Musik in Vienna, studying with John Orford, Rachel Gough, Milan Turkovic, and David Chatterton. After several years of freelancing Helen took a position in the Royal Philharmonic Orchestra where she has been a member for 16 years, and also enjoys working with the education team ‘Resound’ which takes RPO musicians into schools, hospitals, day centres and youth clubs. She continues to freelance with groups such as the English Chamber Orchestra and the London Symphony Orchestra alongside her positions in the RPO and the Galliard Ensemble. Helen became a member of the professorial staff at the Guildhall School of Music and Drama in London in 2010 where she teaches undergraduate and postgraduate students as well as coaching chamber music. 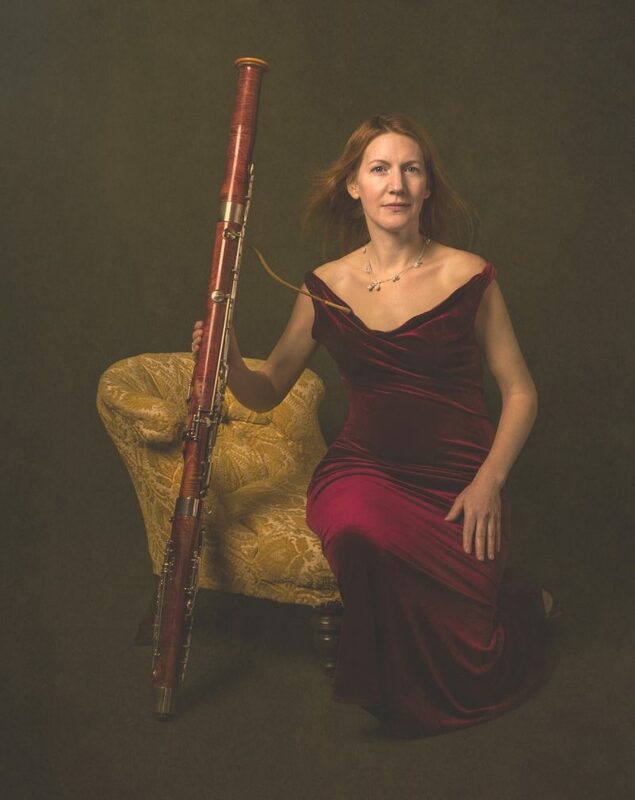 Helen plays on a 10000 series Heckel bassoon.